Sorry for having my own name in the mod's name, I can't come up with creative things. So, this is something I've been working on for a while now, from about early September. Rewritten in August of 2018. Hold mouse wheel button to activate the HelixSnake-inspired fly mode. Control with WASDQE. Short video of me playing around with version 5.5. Just curious, but is it possible to have movement like SP, but in MP? By this I mean, you walk with a keyboard instead of just jogging. Actually, I am so happy that I am not the only one looking for this! 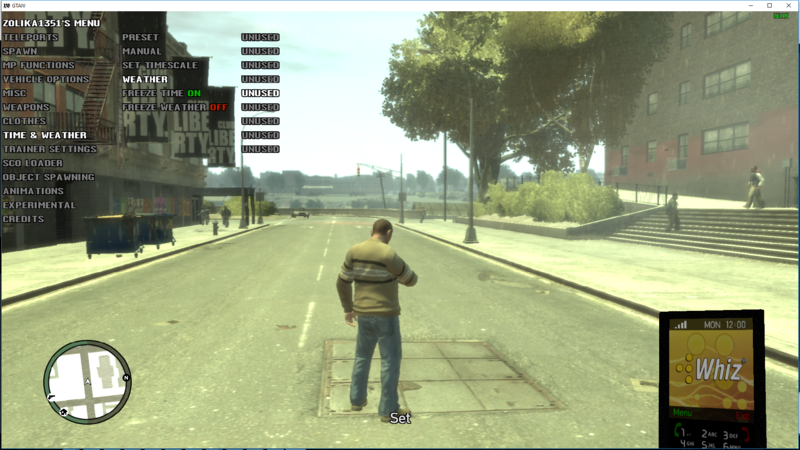 I have been waiting for a long time for a way to walk in multiplayer for GTA IV with just a keyboard. I don't have a controller. How can I walk smoothly like in singleplayer? I have actually been trying to disable that auto-jog in MP as well, I've checked the entire native list and didn't find anything about it. I'll try searching through some network scos, but I think it's just some kind of automatic thing that enables when you are in any network session. EDIT: Seems like when you kill some, or maybe all network scos, you begin walking instead of jogging, so maybe it's in the scos after all, but I can't find any native about it in any network sco. If you don't mind would it be possible to request one thing. We got Unlimited Ammo, but what about no reload? Actually, you can give yourself the mobile phone in pickable objects menu to walk. You won't be able to run at all though. How do you use the SCO version? I tossed the SCO version into my script_network and it didn't work? Unless it needs to be in just script? You need a modloader/SCO loader to load it. Get Skorpro's SCO Loader from here (can't find standalone). Put the menu/trainer in script.img (not network), and edit the Loader INI and type in the .sco's name where needed. 2. It's possible to add more custom teleport points in the .SCO version? 3. It's possible to put in SCO version some options to be toggled ON upon starting games? 4. 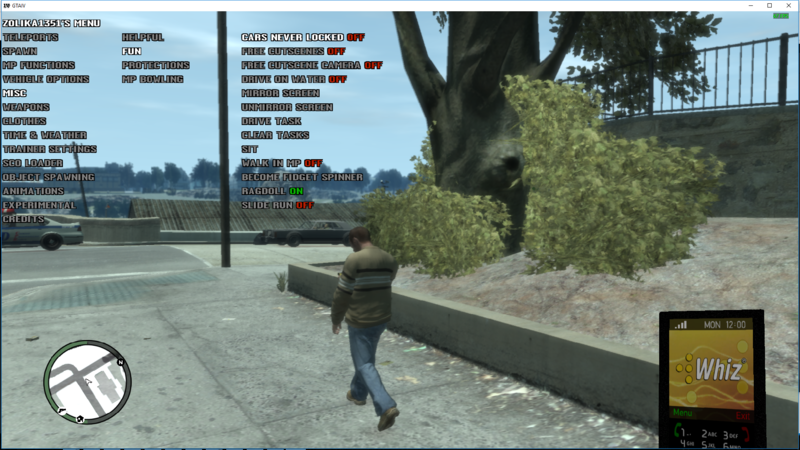 Can you upload your SCO trainer mod on any stable download - GTAGarage, GTAInside, etc? 5. It's possible to make a SCO trainer with suggested features from #2 and #3 compatible with latest version 1.1.3.0 of GTA EFLC? You can downgrade to 1070/1120, although that isn't really recommended if you intend on playing Multiplayer. 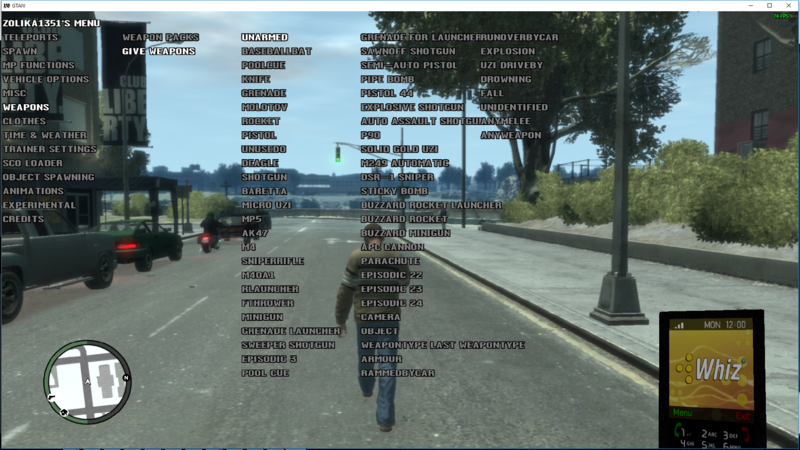 On previous versions of the game, if you had certain types of mods (ASI, edited data files, etc...), the game would separate you to mod only lobbies. This is not the case for the latest version, so a majority of players will be on the new version not separated from each other. 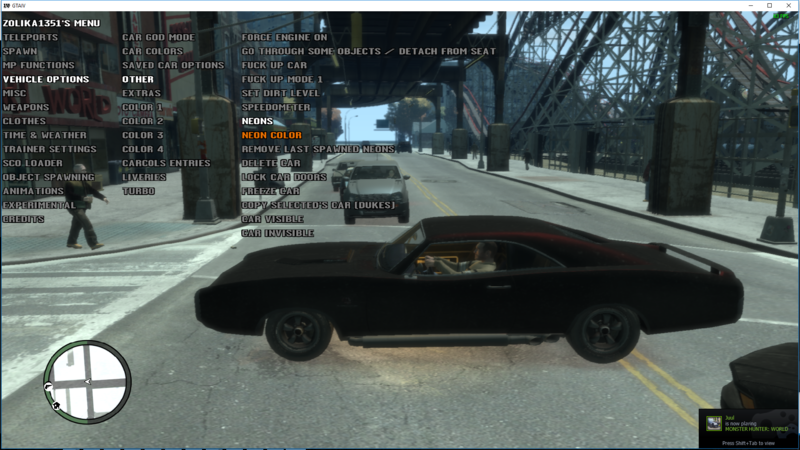 There was a semi-fix released (scripthookhook) for the new version (included in the download/ASI version), which basically makes everything except the spawning of models (cars, player/peds, objects) work. 1. OpenIV is required. With OpenIV, navigate to Common>Data>CDImages>Script.img, enable Edit Mode, click on the Green Plus icon (Add New File Ins), find the sco and add it. TLAD sco goes into TLAD>common>data>cdimages>script.img, tbogt into tbogt. Then you would download the SCO Loader, and modify it's ini file to point to the menu's sco. 1. 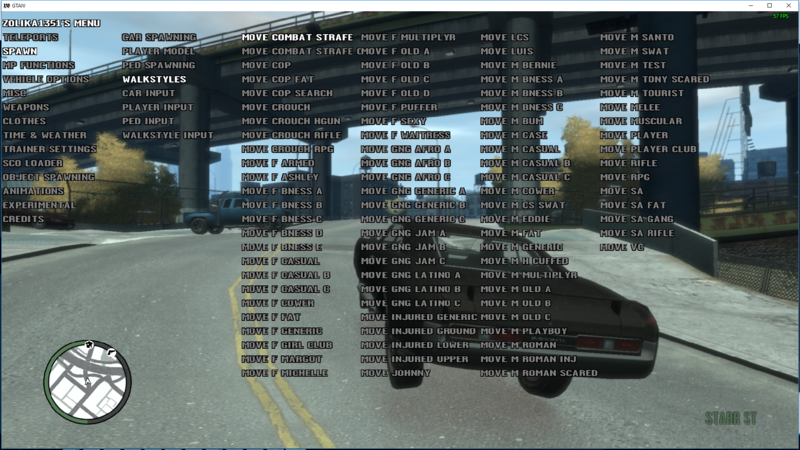 Can you make players do can have some options in your trainer enabled / disabled by default via an .INI config file, like Never Wanted, Player / Vehicle God Mode, etc? 2. Can you also make somehow to add ability players do can set set coordinates for custom teleport points on the SCO version via the .INI file where the SCO version do write saved custom teleports as well? Can you also put more user's defined custom teleports for the SCO version? 1. "True Free Roam" option can be enabled fine, but disabling it CRASHES the game (Steam version)! 1. Can you make players do can have some options in your trainer enabled / disabled by default via an .INI config file, like Never Wanted, Player / Vehicle Good Mode, etc? 1. I'll look into it, it's probably some minor thing from converting to SCO. 2. Didn't occur to me. Did you enable Load Current Interior or Keep All Interiors Loaded by any chance? That seems to cause it, and I have no idea how to fix that. 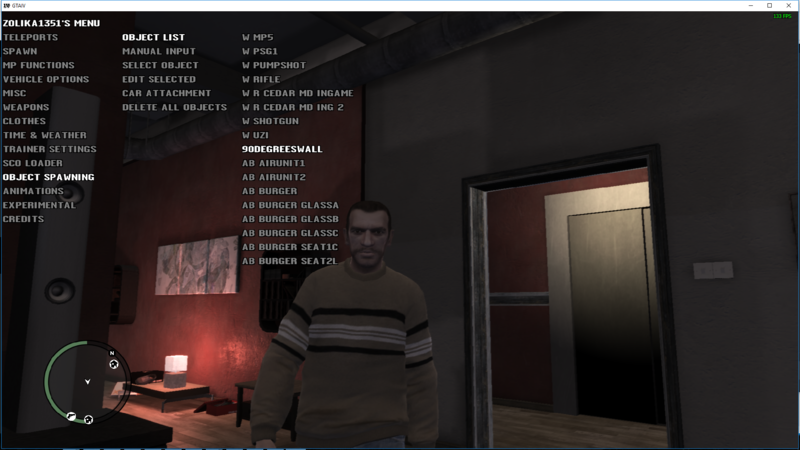 About bug 2, yes, I was used "Load current interior" twice, so this is probably reason for inability to pause my game. If this really cannot be fixed, it might be better to remove that feature. 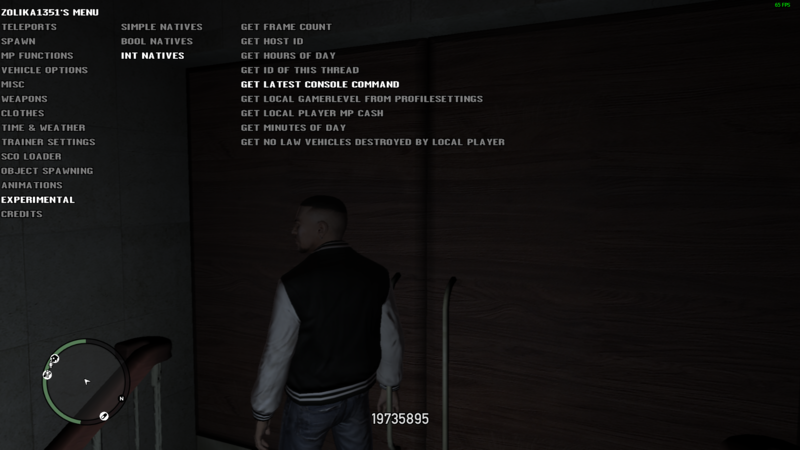 If really SCO doesn't support any kind of configuration settings, I would so suggest this for SCO versions of your trainer: remove custom teleports and skin slots and instead add more defined teleport places across Liberty City. Also please continue improving the ASI versions of your trainer since only they can use custom teleports / have toggleable options enabled by default which appears impossible on SCO trainer versions. 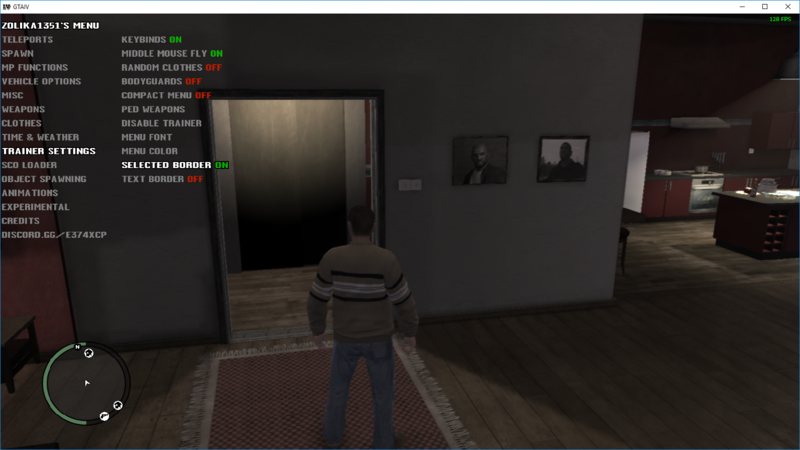 @Zolika1351, can you upload your recent 2-3 versions of your trainer on GTAInside (you're has uploaded several older versions of your trainer there), also please upload them (including your most recent version 22.5) on GTAGarage as well. These are just more stable / proof for downloading mods and won't be chance to expire unlike links on share sites like Mega.nz, Mediafire, and other similar "temporary" sites. Also, can you add in the SCO trainer version keybinds for activating features (As I'm aware you're added hotkeys but only for a few features like "Never Wanted"). 22.5 is already on GTAInside, just not approved yet. 11. Weather Menu (same keybinds like in SNT for Extra Sunny, Sunny, Cloudy, Overcast, Rainy, Stormy, Foggy). Anyone got any teleporting ideas? World Teleports menu is pretty empty. 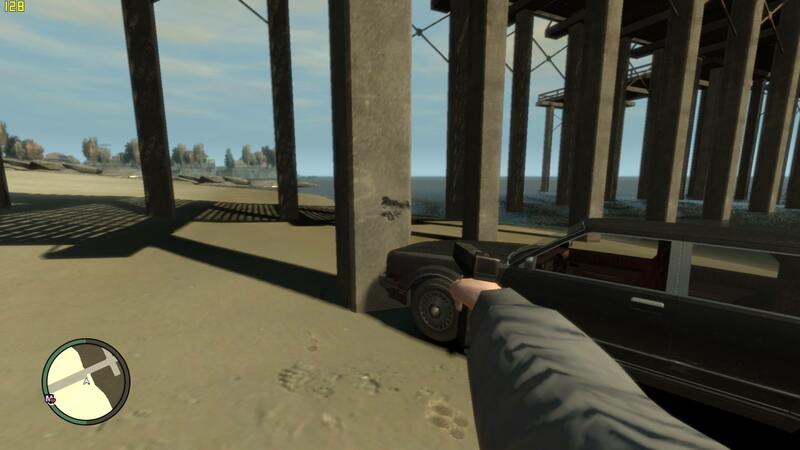 About teleport points you can try to add teleports to infront entrances to the enterable buidlings across Liberty City. 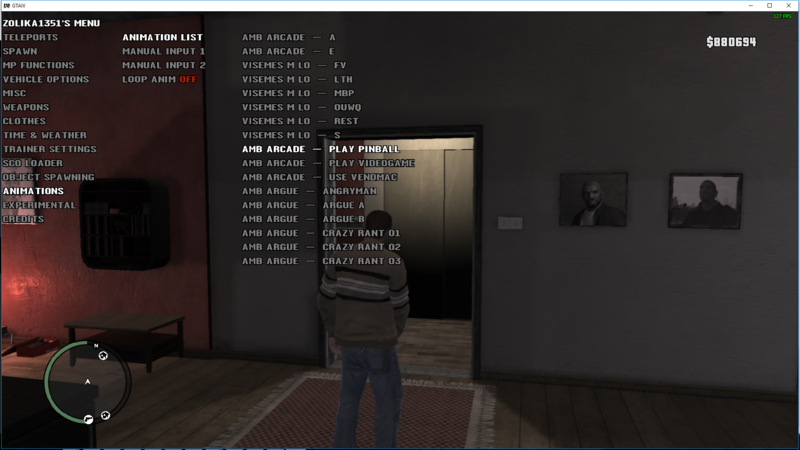 Only to tell however Libertonian Museum can be entered only in GTA IV and TLaD on the episodes, but in TBoGT it's locked and cannot be entered normally at all, but as I'm aware the TBoGT has an enterable China Mall in Algonquin that can be entered only in this game (it's interior doesn't exist in IV and it's only smaller and inaccessible in TLaD). Also, I installed latest version of your trainer 22.5 and only to tell you True Free Roam still crashes game if it is enabled and try to disable it! Appears killing scripts (enabling True Free Roam option) works as expected but seems game cannot handle re-enabling those scripts (disabling True Free Roam) since it stops working immediately. So I think you should: 1. remove that feature completely or 2. make that option do can be only enabled and to stays that way until player quit the game (make the option cannot be disabled) since the bug really is still present. I've added one keybind to the newest version already (Special God is added) more will come soon (Already got Never Tired in 24.0), just gotta figure out how Weapon Pack 1/2 works as SNT has 1 keybind for it. GTAInside seems to just refuse my mod. It's been waiting approval for a week already. Same with GTAGarage just replace week with 3 days. I'll disable turning off True Free Roam in the next version. So how do you install it? Do I have to use both folders? Only one. Manual Install is if you want to install it via OpenIV (incase you have any scripts modified), Drag N Drop if you don't. is it possible to add a freecam option? Probably not, would be much too complicated for little to no usefulness.